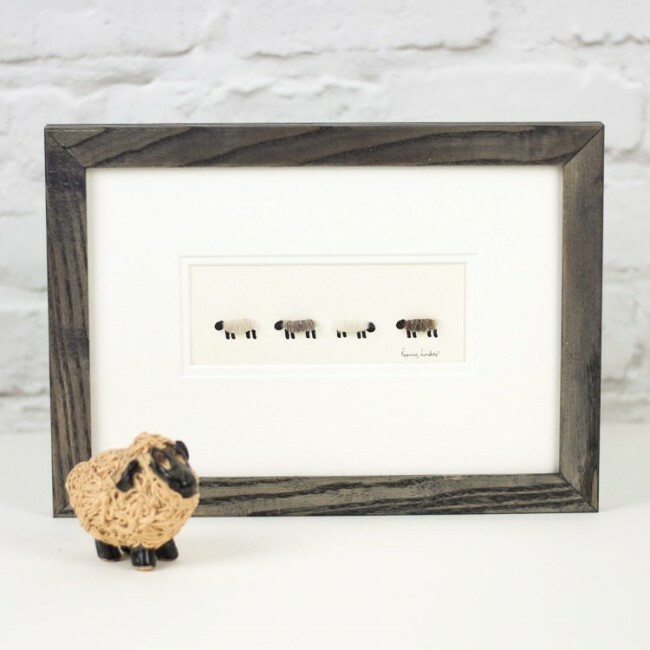 Our 4 natural woolly sheep print, pale shades is an ideal gift for a sheep lover, sheep farmer or shepherd. It's soft natural tones will fit beautifully into many interiors and will certainly raise a smile or two. 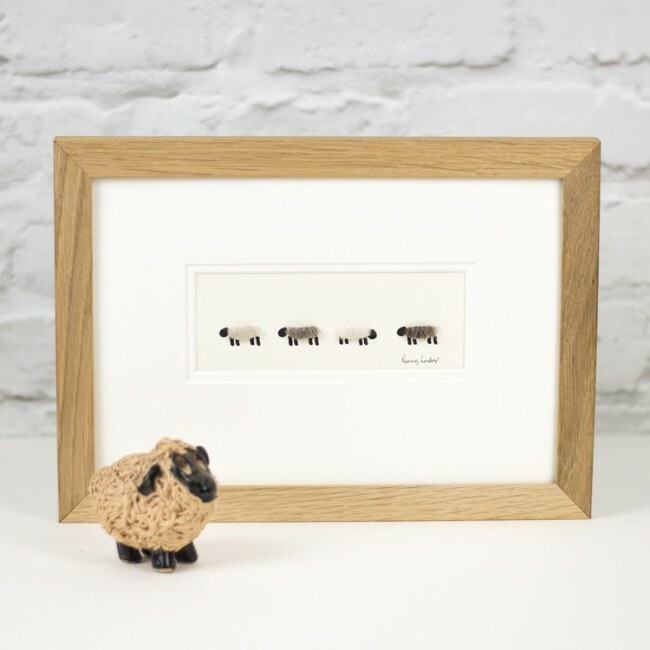 We hand finish each sheep with a woolly body of real sheep's wool from a variety of different breeds of coloured sheep. 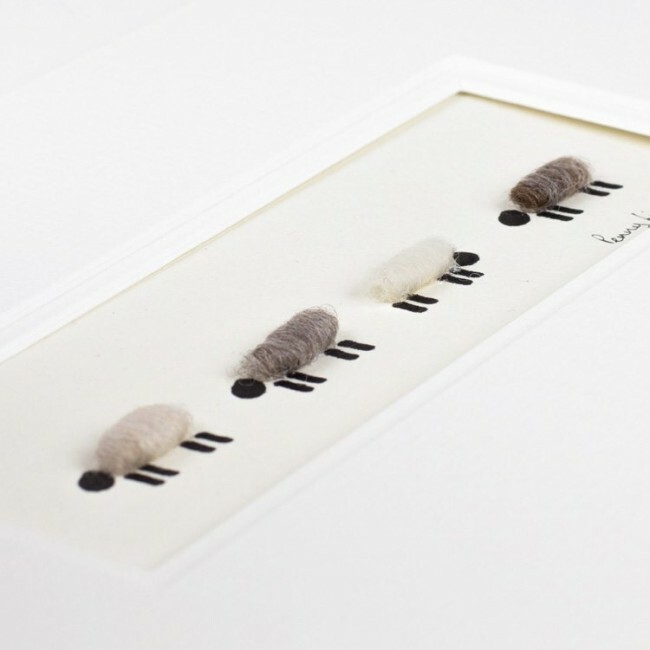 The small size of this print is perfect for a small space in a living room, kitchen or cloakroom. Printed on an acid free archival quality paper made in the UK, and mounted in a conservation quality double mount. A double mount really adds an extra touch of quality to the finished artwork. Mounted picture size - standard A4, 297 x 210 mm. This is an easy frame size to purchase in the shops, but if you would like us to finish your gift for you, we would be more than happy to frame it for you.